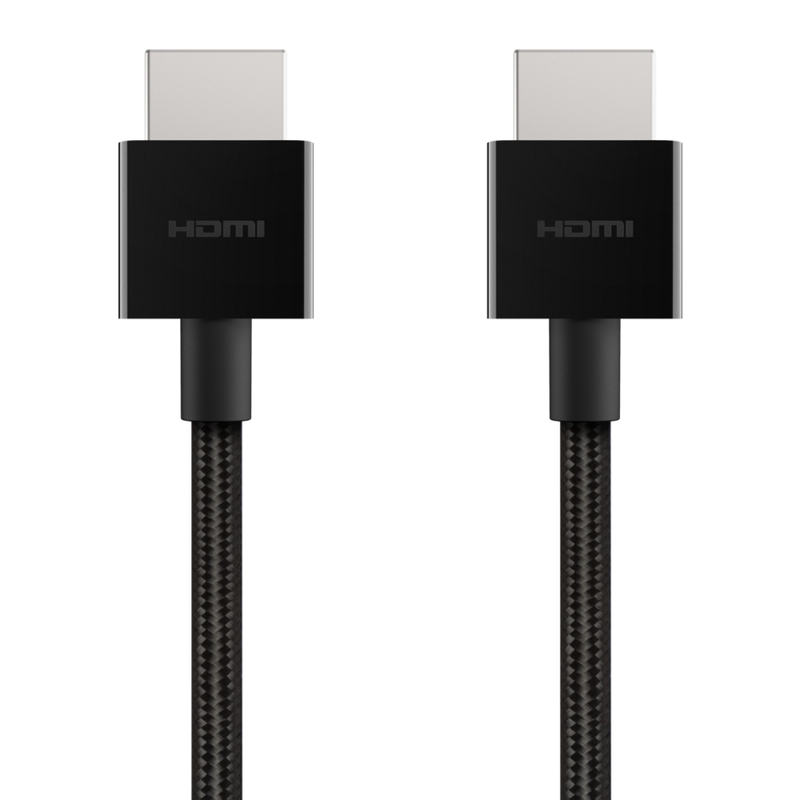 Ultra HD High Speed HDMI® Cable (2018) is rated 1.0 out of 5 by 1. Welcome to the future of home entertainment. 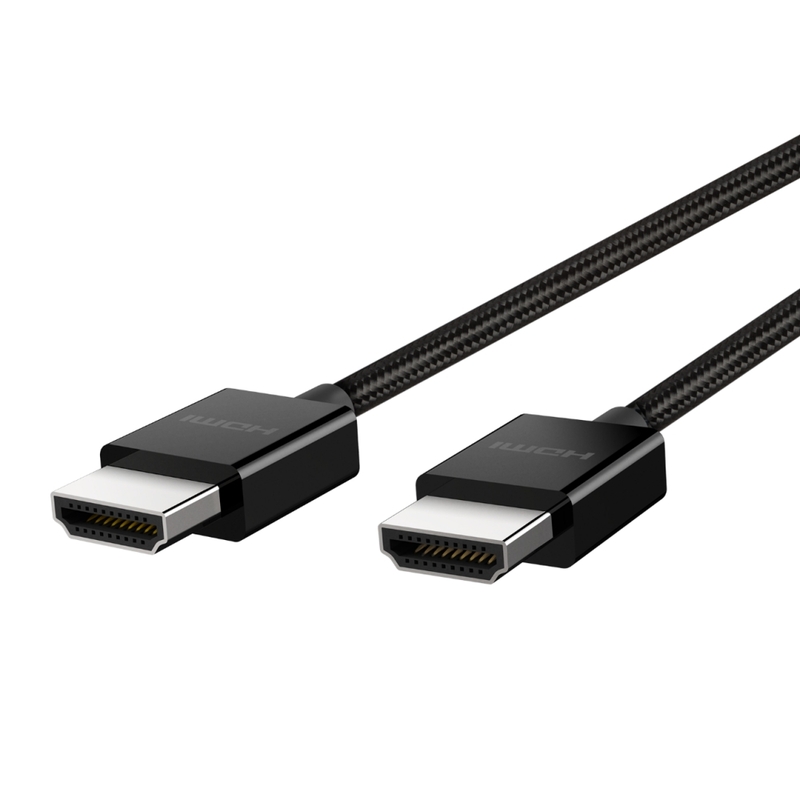 Speeds up to 48Gbps unlock 4K HDR digital video and multi-channel digital audio for the most immersive viewing experience yet. View TV shows, movies and video games in the highest resolutions with unmatched brightness. Leverage 4K HDR (High Dynamic Range) and a wide color gamut imaging technology to unlock an amazing new television and movie experience from the comfort of your living room. With improved screen brightness and illumination, a sharper contrast between darks and lights and billions of colors, Dolby Vision brings the images on your screen to life like never before. Popular content is already available in Dolby Vision and media streaming companies like iTunes, Netflix and Amazon are creating new shows in Dolby Vision. 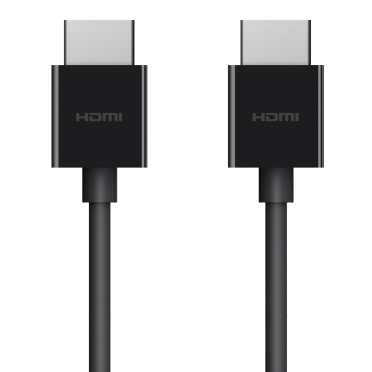 To experience Dolby Vision fully, you’ll need every link in your viewing chain to be Dolby Vision compatible, from streaming devices like an Apple TV 4K to your A/V receiver and the HDMI cable that brings them together. 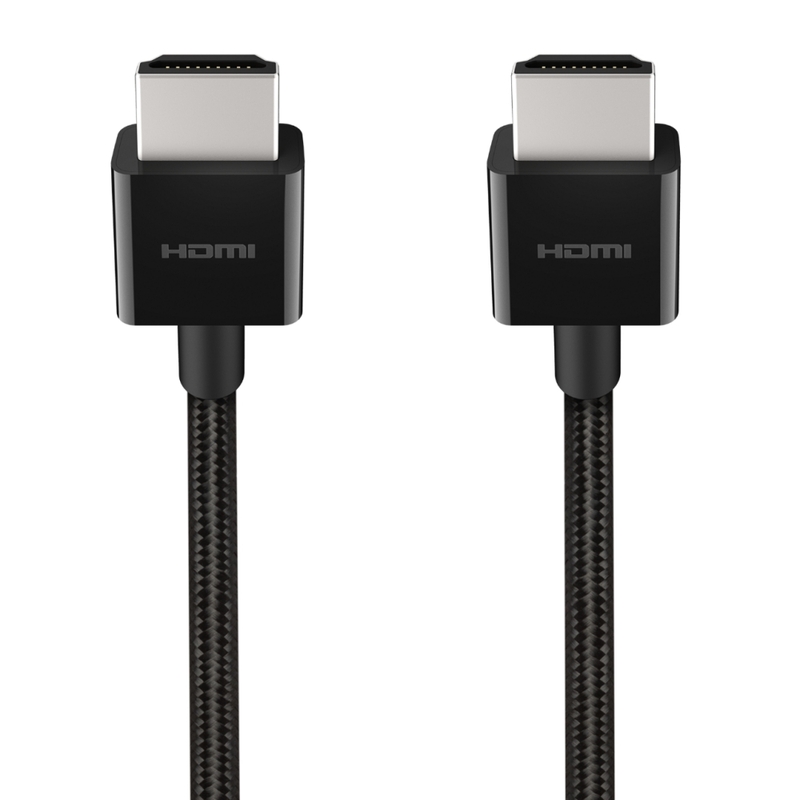 The Ultra HD High Speed HDMI cable has been built to support high resolution and screen refresh rates up to 4K/120Hz and 8K/60Hz as specified in HDMI 2.1. These impressive speeds are compatible with the latest audio and video technology and will support future generations of home entertainment as well. 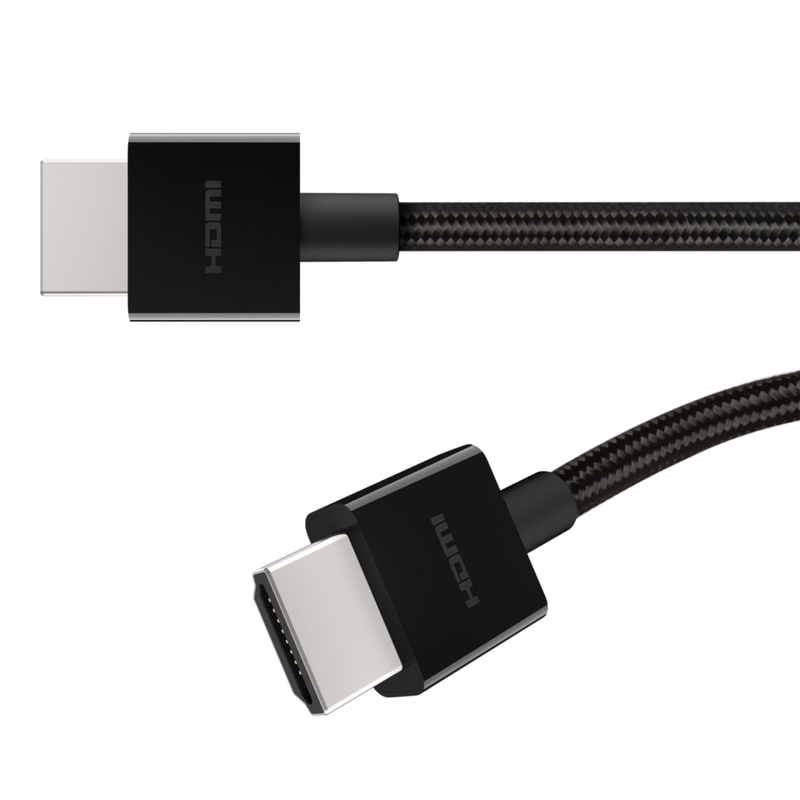 The Ultra HD High Speed HDMI cable from Belkin supports Variable Refresh Rate (VRR) as specified in HDMI 2.1. VRR reduces lag and eliminates motion blur, delivering the best viewing experience every time. Connect your streaming devices, gaming consoles, cable boxes, Blu-ray players, TVs and A/V receivers for an uncompromising viewing experience. The cable features a braided external jacket that resists wear. 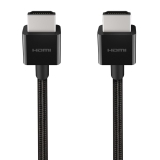 This increased strength and resilience extends the life of your cable. 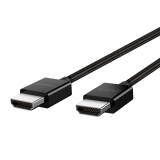 Available in 3.3-feet/1-meter and 6.6-feet/2-meter lengths, so you can find the ideal cable to connect your laptop or streaming device to your HDTV home entertainment system. Rated 1 out of 5 by N i j from Over priced cheap Cable. I bought this Top of the range HDMI Cable expecting much much better from Belkin, especially at the massively excessive price !. 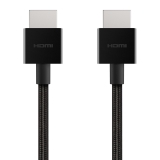 And then,.... (after I bought their lesser but still expensive version) 'to add insult to injury' I find out that in spite of the marketing blurb, the AV10176 is exactly the same spec as their AV10175 HDMI Cable which is HALF the price !. The only difference being that for twice the cost you get Braid covering !. Is the Braid covering worth the extra THIRTY QUID ?, not in my opinion. The cable is stiff like welding wire, you can actually form it in shapes and it will stay there !. The connectors are plastic and look cheap. Save your self a lot of money, spend less than a tenner, get one with braiding if you want it, and get real Gold shiny bits on the plugs to boot !